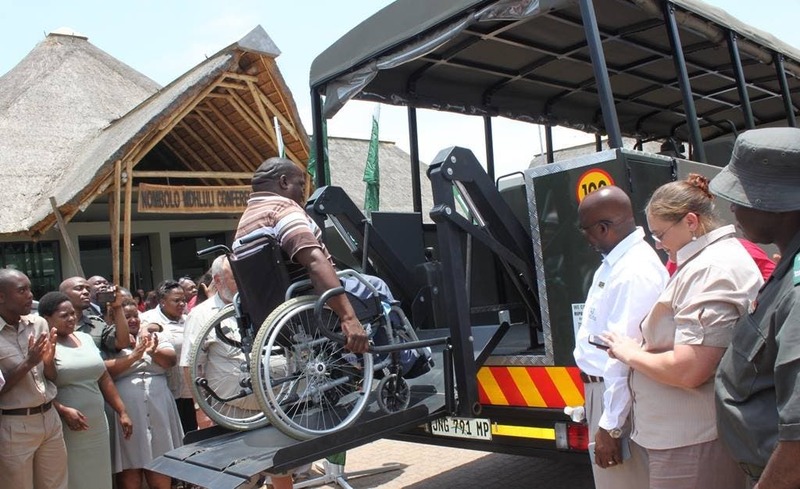 The Kruger National Park (KNP) on Tuesday unveiled four fantastic activity vehicles that will be used to transport tourists with mobility challenges on game viewing activities. Paul Shabangu from Mpumalanga’s Department of Public Works, Roads and Transport was one of the guests who got an opportunity to test out the new Activity Vehicles for people with mobility challenge. Assisting him are the General Manager: Marula Region, KNP – Lucy Nhlapo and the KNP Lead Fleet Manager, Piet van Wyk. Van Wyk also explained the technicalities of the activity vehicles. 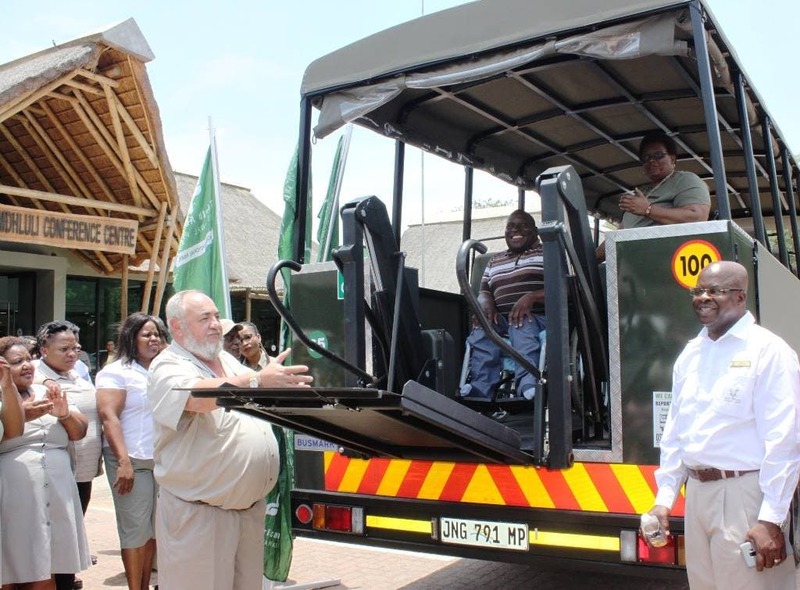 The 14-seater activity vehicles form part of the KNP Visitor Management Plan, and can lift weight up to a maximum of 250 kg. 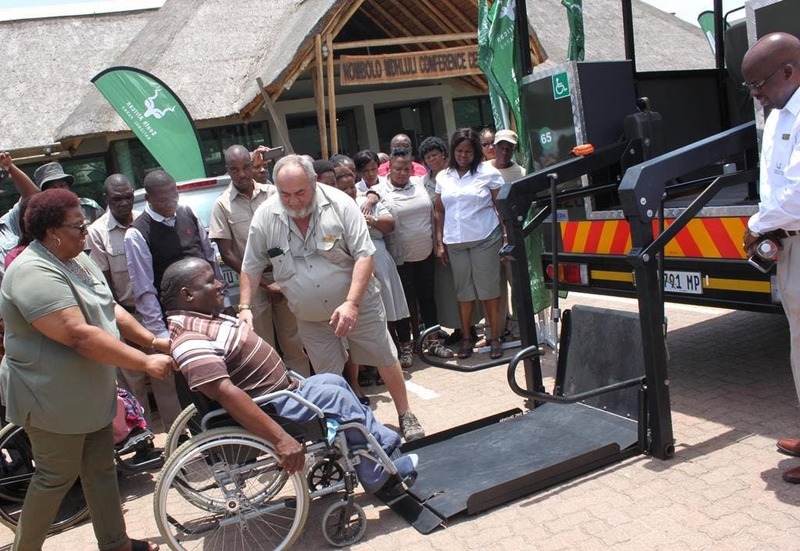 “KNP aims to enhance the recognition for and appreciation of people with disabilities; including our tourists. 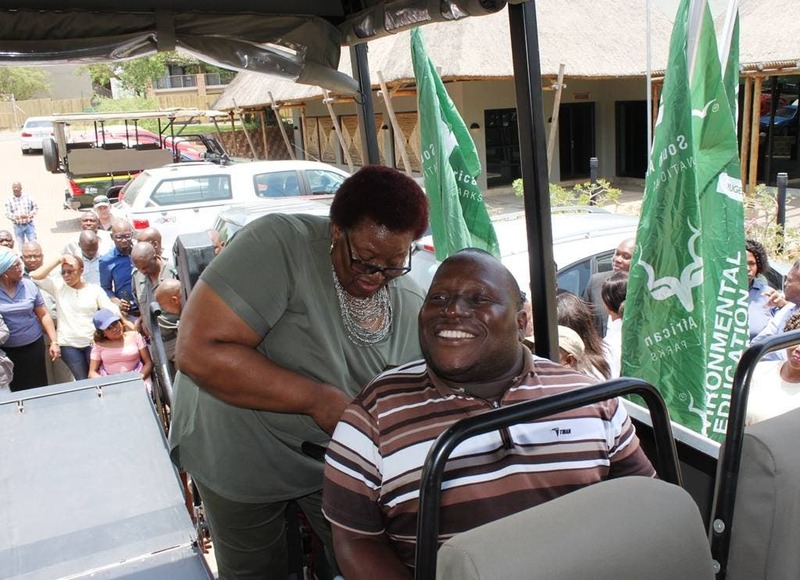 “We would like to ensure that the Park promotes access whilst creating an inclusive environment which provides wildlife experience for all,” said KNP’s General Manager of the Marula Region, Lucy Nhlapo. Ms Deliwe Sambo, also from the Department of the Public Works, Roads and Transport also experienced the new activity vehicles for a short game drive. She said people with disabilities – either from birth or as the result of an illness or accident – unfortunately still often face discrimination. “People with disabilities use and enjoy the Park; and this important segment of the market should not be excluded from interacting with nature. 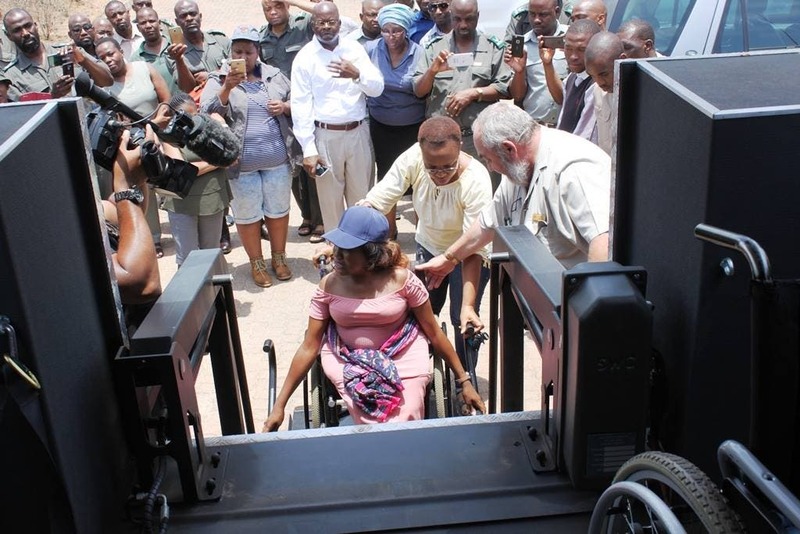 “We believe that the launch of the activity vehicles for people with mobility challenge will increase awareness and understanding as well as improving access to the tourists with disabilities; in particular the wheelchair users for their benefit and enjoyment,” she said.